The BFA is the home of ethical franchising, with a membership base of 287 franchise brands covering 13 industry sectors. Franchising will take centre stage in October during the British Franchise Association's (BFA) National Franchise Week (October 3-9). This week of franchise awareness events is sponsored by Volkswagen Commercial Vehicles. 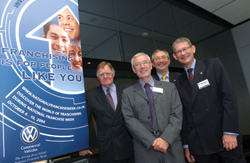 'With an annual turnover of more than £9 billion and a three per cent increase in the number of franchise brands operating (now 718 according to the BFA/NatWest 2005 UK Franchise Survey), the UK franchise industry is a very important business sector,' states BFA President Sir Bernard Ingham. 'This is further backed up by 88 per cent of franchisees claiming profitability for the past year. Capitalising on the success of previous National Franchise Week (NFW) events, representatives from Business Links, Regional Development Agencies, the franchise industry and the business/academic community will be invited to the launch, where they will discuss driving franchising forward as a safe and smart option for starting your own business. Following the NFW launch, the BFA will hold an Open Day for prospective BFA members on October 4. 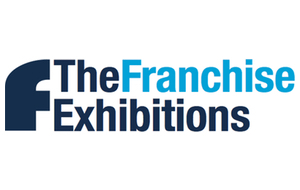 The prestigious BFA Franchisee of the Year Awards will be held on October 6 and the week's events conclude with the National Franchise Exhibition at the NEC, Birmingham, on Friday, October 7 and Saturday, October 8. NFW promotes ethical franchising throughout the UK and is run by the BFA, in conjunction with NFE organisers Venture Marketing Group, HSBC and Express Newspapers, who sponsor the BFA Franchisee of the Year Awards.